Have I done 2,000 client visits? I did not count them, obviously, but one a week over my career, takes me well over that number. So did I learn anything? I like to think so. Do these resonate with you? Just doing a visit is not enough. You have to craft a great meeting. A great meeting is not a ‘friendly chat’. It could be that as well, but it must be an exchange of meaningful information, that ends with a road-map for the future relationship laid out. The more (quality) visits you do, the more business you win. The visit is the start of the relationship getting real. The real goal of a prospect meeting, the one thing you must achieve, is ‘credibility’. You can learn a huge amount that will help you in the meeting, while you are in reception, prior. Meetings fail because of lack of structure, no planning, poor questioning skills, the consultant talking too much, and missing the real needs. A client in pain is a good thing. Meetings help you identify clients ‘in pain’. You can qualify a job order immeasurably better at a visit, and qualified job orders get filled. After you visit a client, your commitment to help them get the best staff increases. Or decreases. Either outcome is great, because you know your level of commitment. When you meet clients you make better matches. Doing your preparation and research makes all the difference to the quality of the visit outcome. Allow enough time to get there on time. Why make a stressful situation worse by annoying the client by pitching up late? Asking intelligent questions is the backbone of a successful meeting. Clients become candidates, especially after they have met you. An effective client meeting will have the client talking 70% of the time, and you talking 30%. Client meetings are like a first date. The more you talk about them, the more they like you. Don’t give the client any collateral, brochures, salary surveys or anything other than your card, until the end. If you do, they will read that and stop listening to you. A prospect, who is cold, sceptical, brusque and disinterested on first meeting, can be friendly and chatting by the end of the meeting, and your lifelong client after 6 months. That is the power of a great client meeting. And some of the best fun this industry can offer. If the client keeps you waiting too long in reception, takes calls during your meeting, haggles your fee, and is generally disrespectful, this client will jerk you around for ever after. You start the meeting with non-threatening questions like ‘tell me about your company’, or ‘what is your market like’. However, by the end of the meeting you have addressed all the hard questions like “who do you use”, “how much do you spend on third party recruiters”, and “what do you like and dislike about agency service you get”. But you have to earn the right to ask these questions! You have to close. That means taking an order, or getting commitment to work their next order. And you have to ask for the business before you leave. If the prospect is seeing you, there is a reason. They did not agree to meet you because they had nothing else to do that day. An opportunity exists there. Even if the client says it doesn’t. It does. Maybe not right now. But it does. When the client starts to talk about fees and discounts, then you know you have not sold your service well enough. And you need to go back to talking about your value, not your price. No ‘pitch’ to a prospect is the same. You don’t have a ‘one size fits all’ presentation, that you wheel out on every occasion. You tell the client what they want and need to hear, and you know what they want and need to hear because you have asked the right questions and have unearthed their needs and their ‘hot buttons’. A demeanour of confidence, self-belief, and an attitude that says, “ I am an expert in my field” overcomes just about everything. Without that self-belief you will never earn ‘recruiter equity’. Selling exclusivity and retainers is immeasurably easier in a meeting than over the phone. Never say to a client “I know you are busy, I won’t keep you long”. You are busy too. Your time is valuable too. The meeting will take as long as it needs to take. Be respectful to the client at all times, but don’t belittle your own value. Always agree on ‘next steps’ before the meeting closes. That might be another meeting, a call back at a specific time, or an open brief on skills needed, that allows to be back in touch with specific candidate profiles. Ask for referrals. Who else in the group hires? Don’t put your phone, keys, or folder on the clients’ desk. Don’t take a phone call in the clients’ office (obvious, but some clowns do it). Don’t be on the phone when the client comes to greet you in reception. Don’t even have your phone visible during the meeting. And do not allow it to ring, beep, ping, or play ‘Highway to Hell’ either. If your client is more smartly dressed than you are, you screwed up. No, you are not cool, funky or anything else. You screwed up. 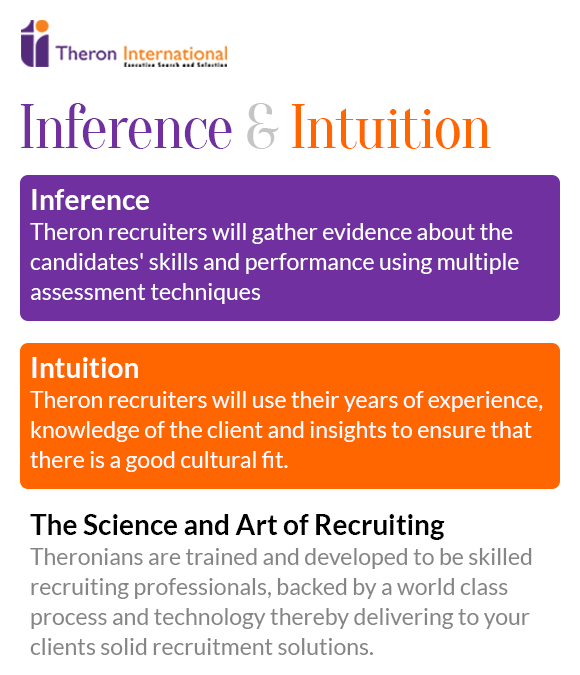 The best fun in the recruitment business stems from meeting clients. That is when the adrenalin pumps. Most of the rest of this job is glorified administration. Or un-glorified administration for that matter. It’s in the client meeting that the magic happens! * Client meetings, literally, all over the world. These countries for a start; Australia, New Zealand, England, USA, South Africa, South Korea, Japan, China, Hong Kong, Singapore, Malaysia, India, France, Spain, Czech Republic, Poland, Germany, Holland.